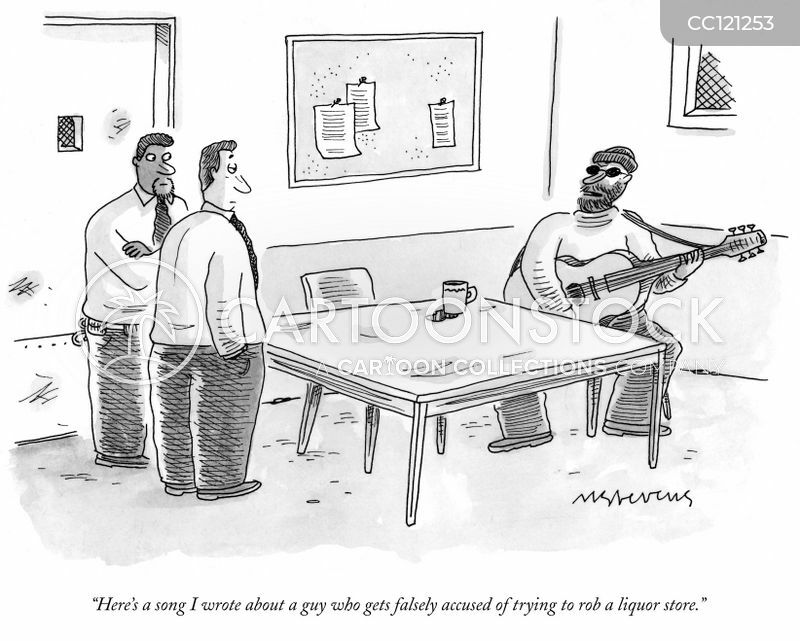 "Here's a song I wrote about a guy who gets falsely accused of trying to rob a liquor store." 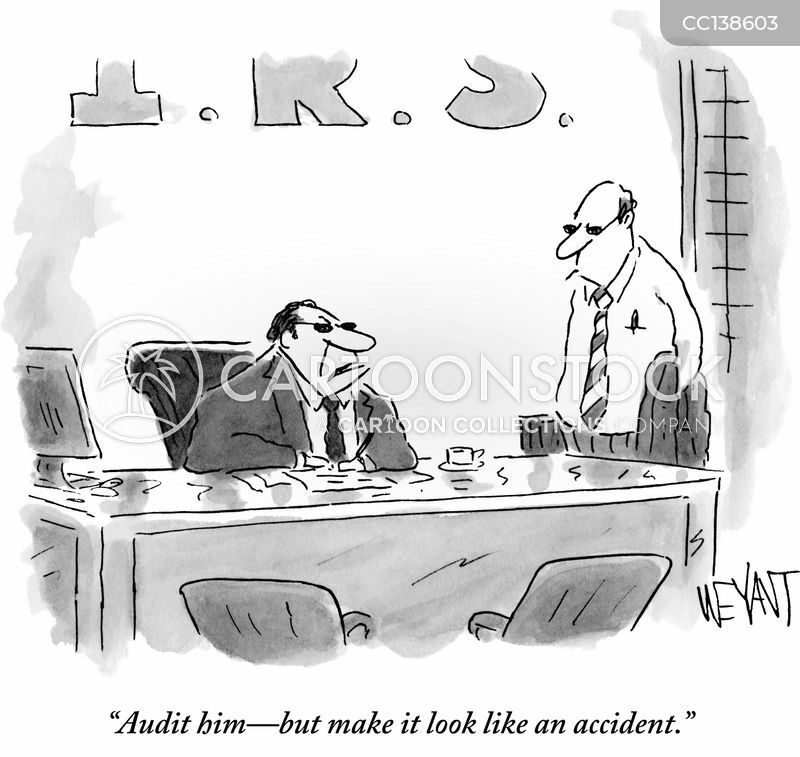 "Audit him - but make it look like an accident." 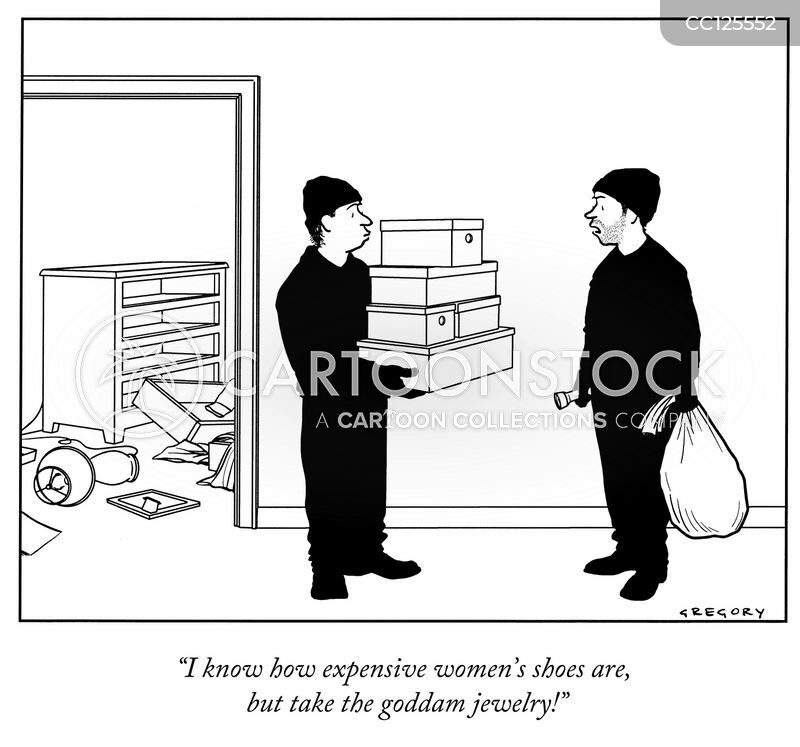 "I know how expensive women's shoes are, but take the goddam jewelry!" 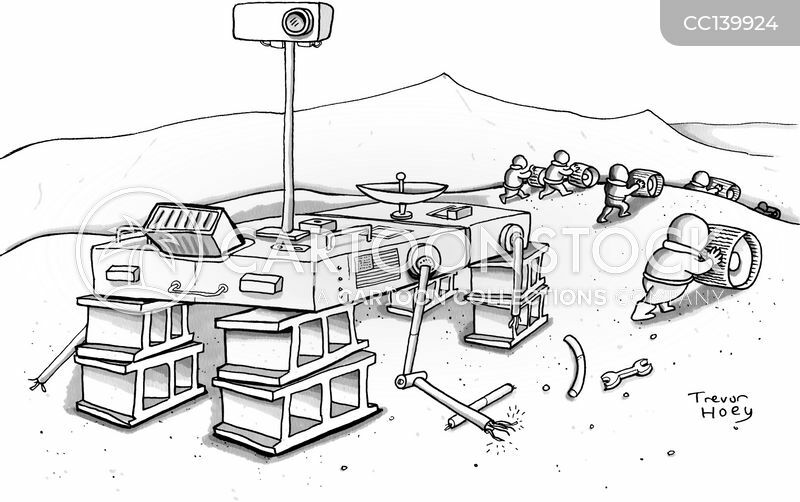 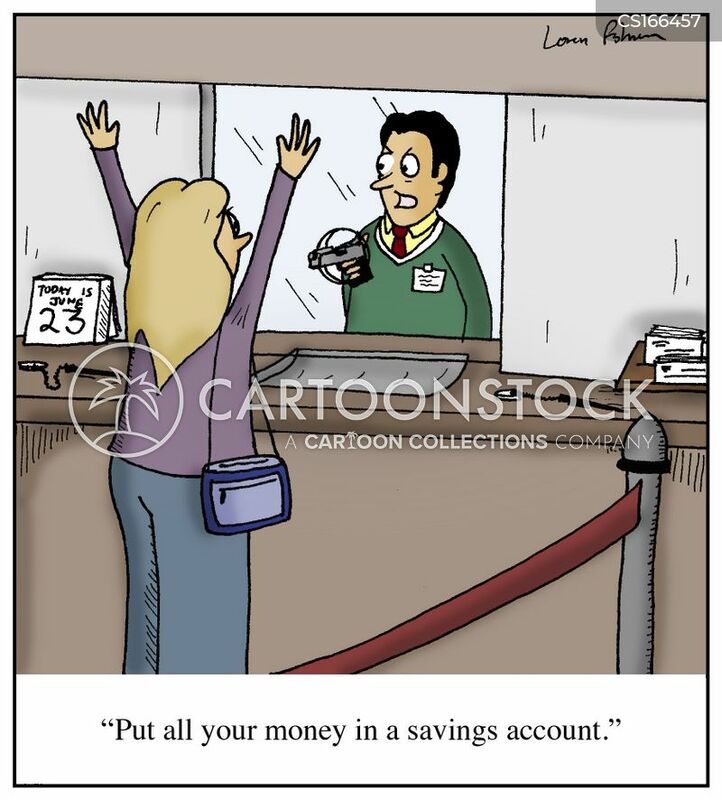 "All right, switch to Plan B - rob from the poor and make ourselves rich." 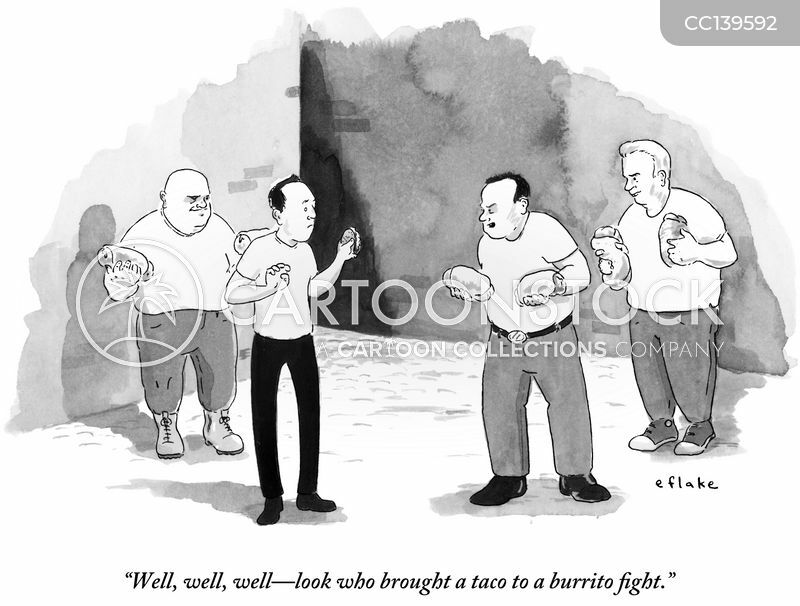 "Well, well, well—look who brought a taco to a burrito fight." 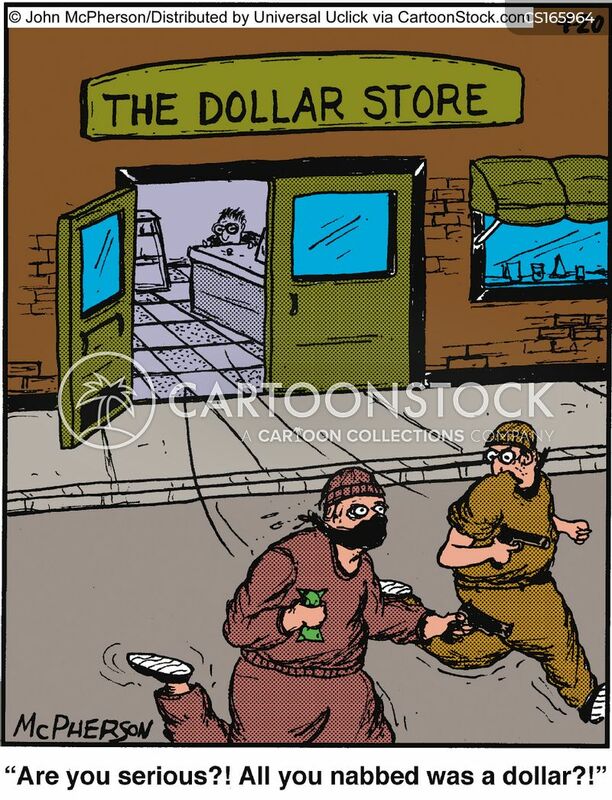 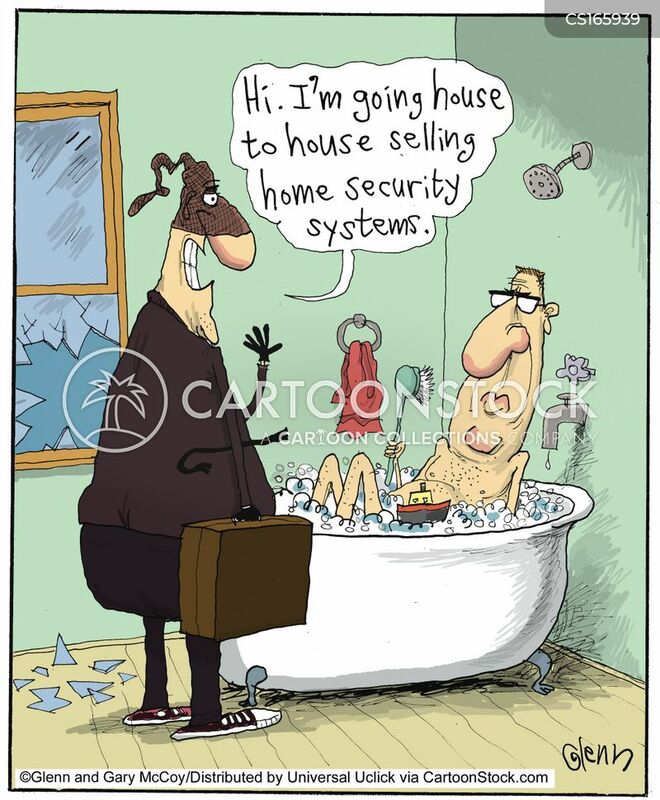 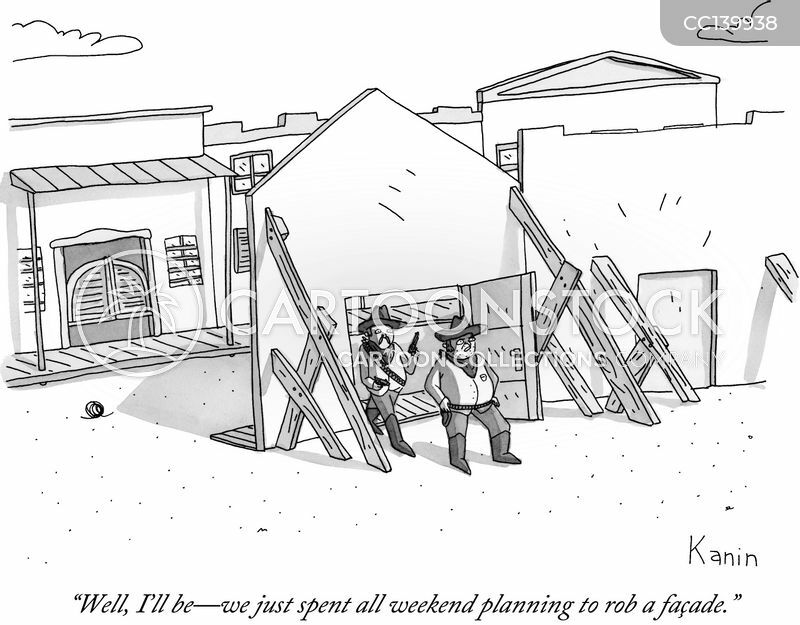 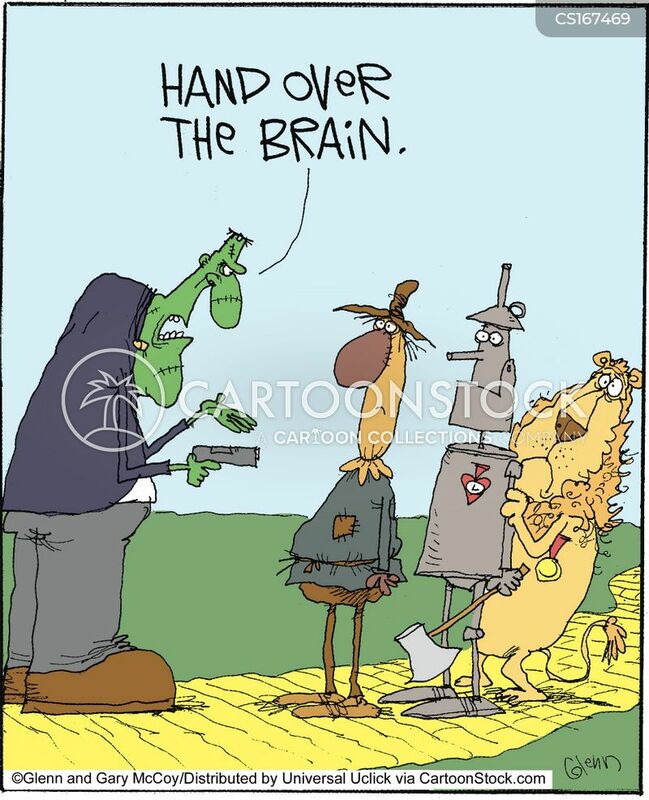 "Well, I'll be-we just spent all weekend planning to rob a façade." 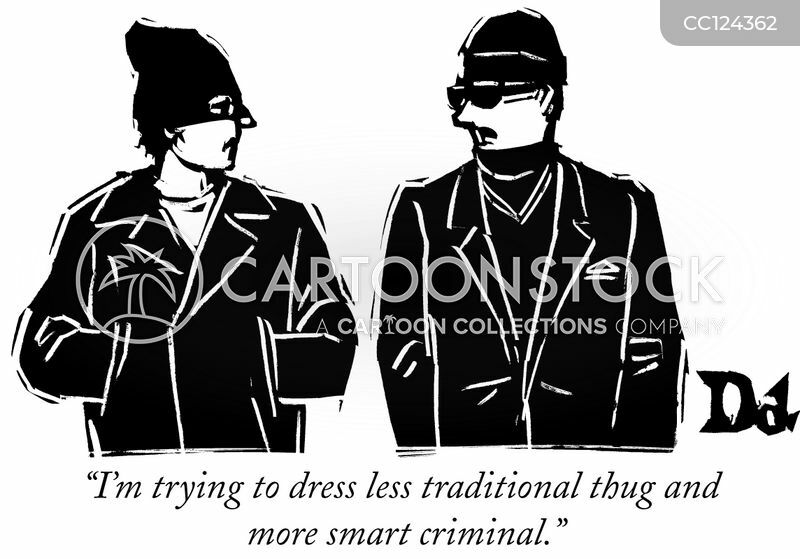 "I'm trying to dress less traditional thug and more smart criminal." 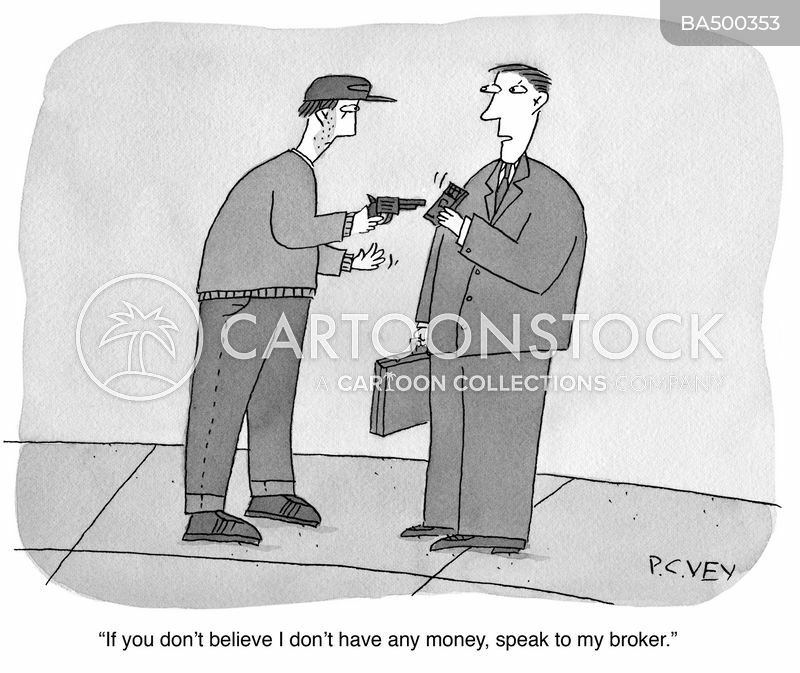 "IF you don't believe I don't have any money, speak to my broker." 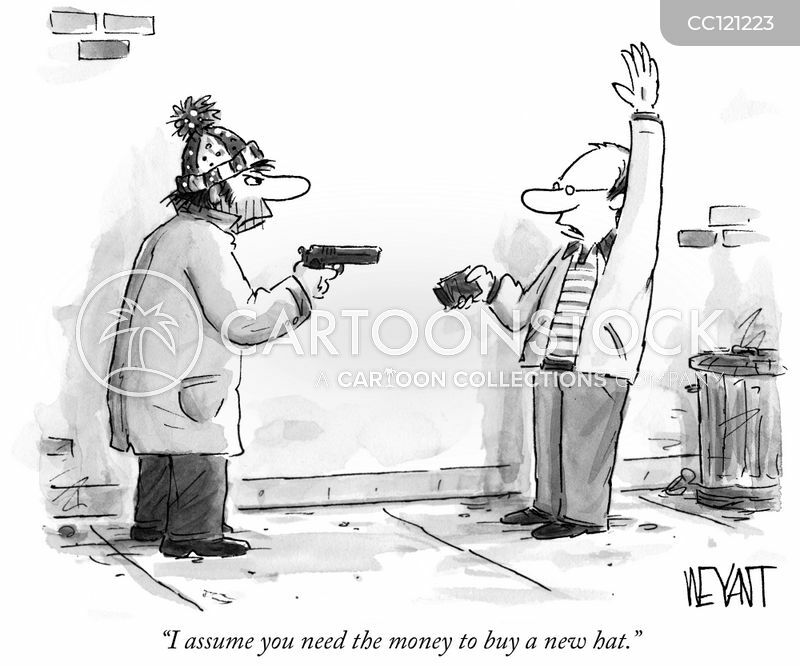 "I assume you need the money to buy a new hat." 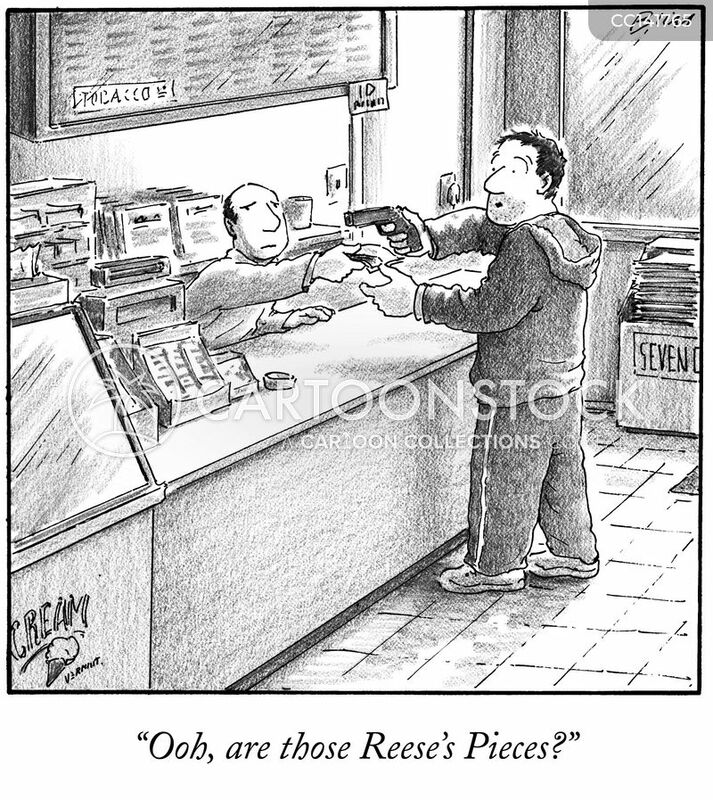 "Ooh, are those Reese's Pieces?" 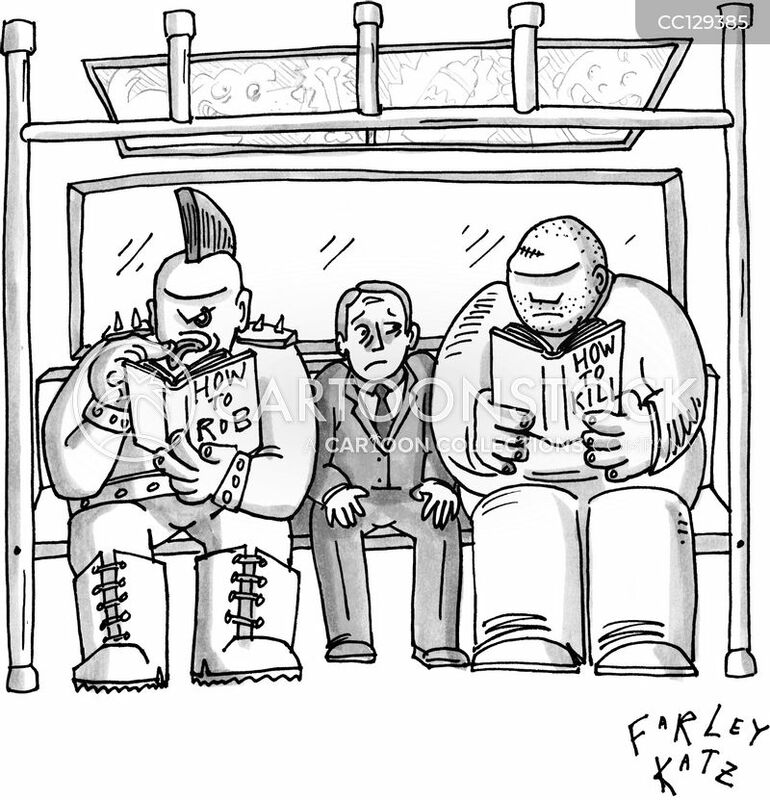 A man is sat between thugs on the subway. 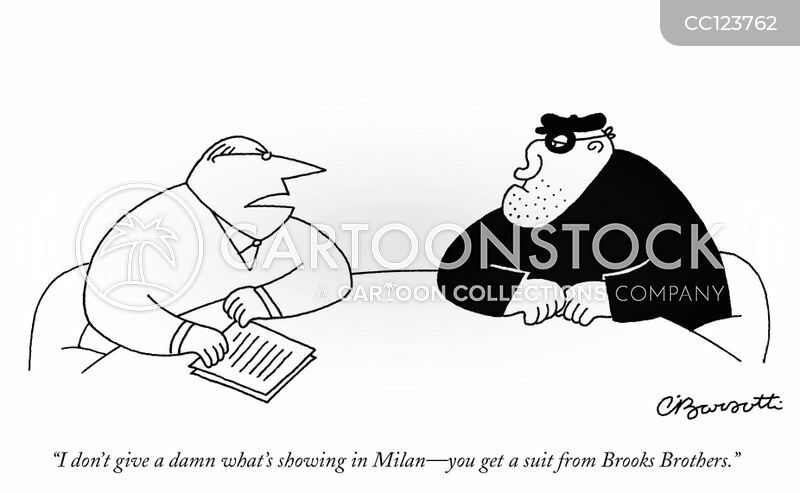 "I don't give a damn what's showing in Milan—you get a suit from Brooks Brothers." 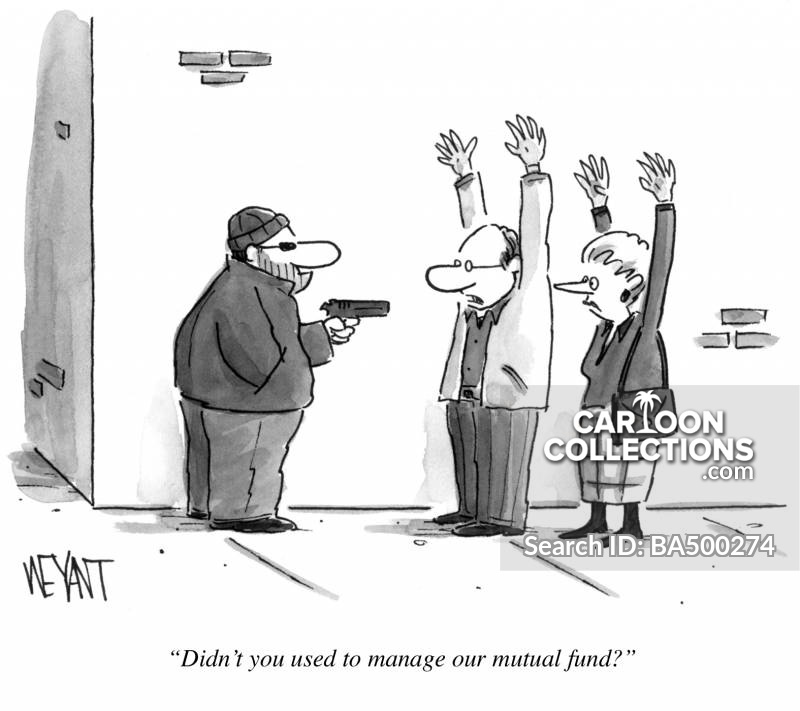 "Didn't you used to manage our mutual fund?" 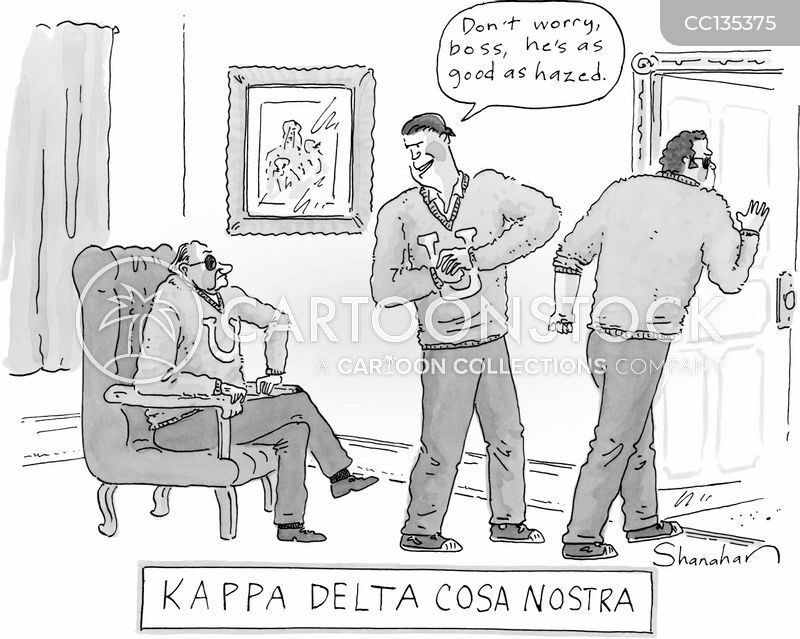 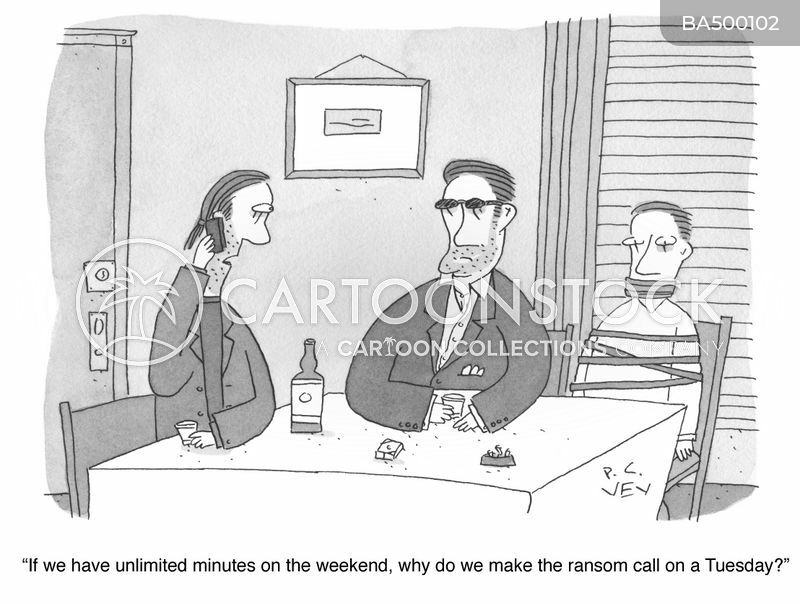 "If we have unlimited minutes on the weekend, why do we make the ransom call on a Tuesday?" 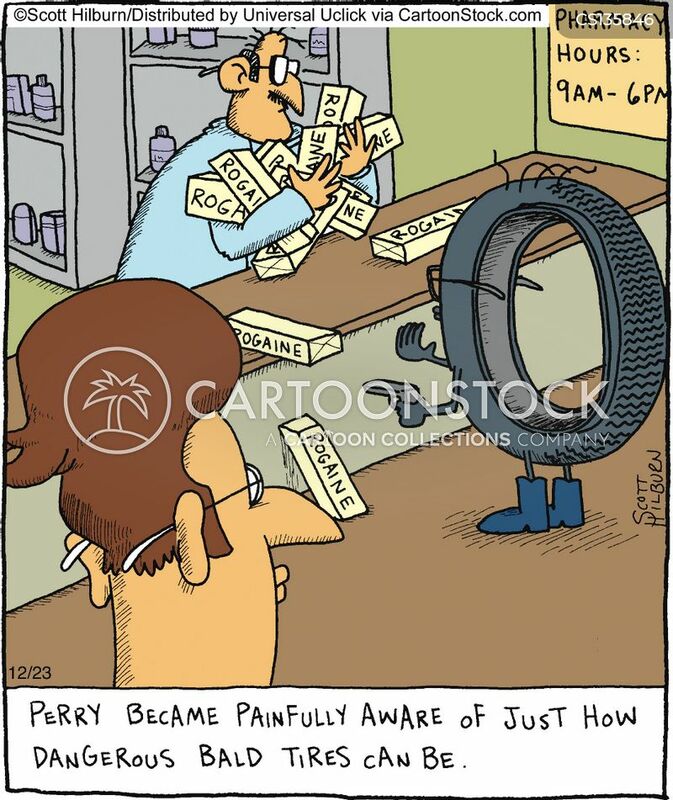 Perry became painfully aware of just how dangerous bald tires can be. 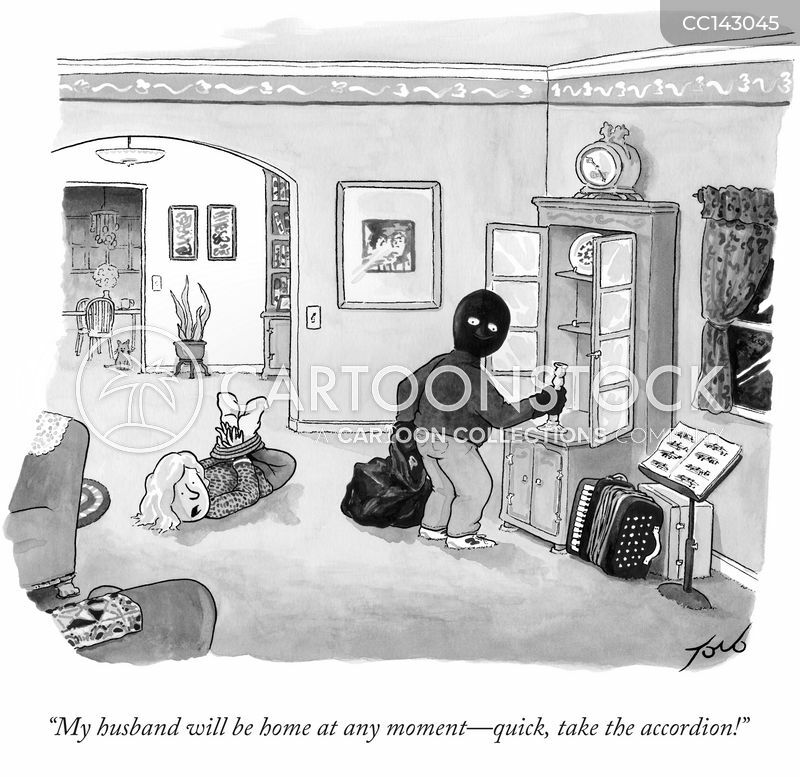 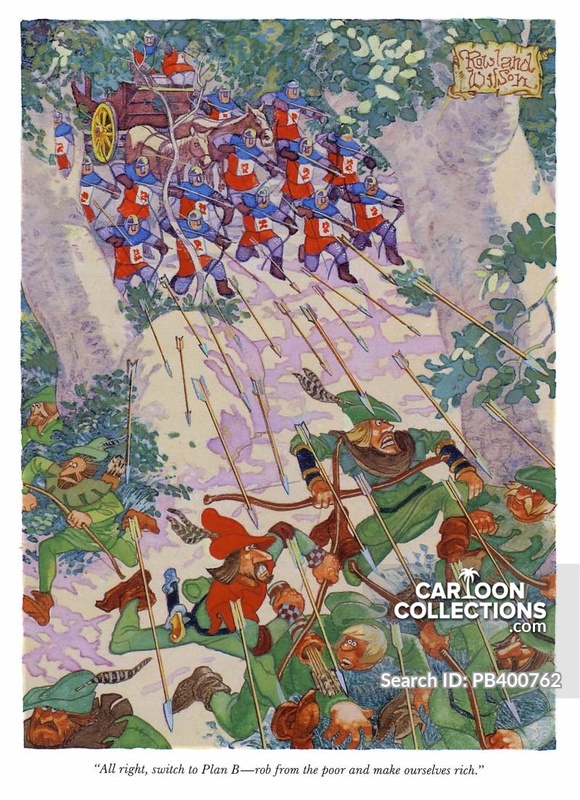 "My husband will be home any minute - quick, take the accordion!" 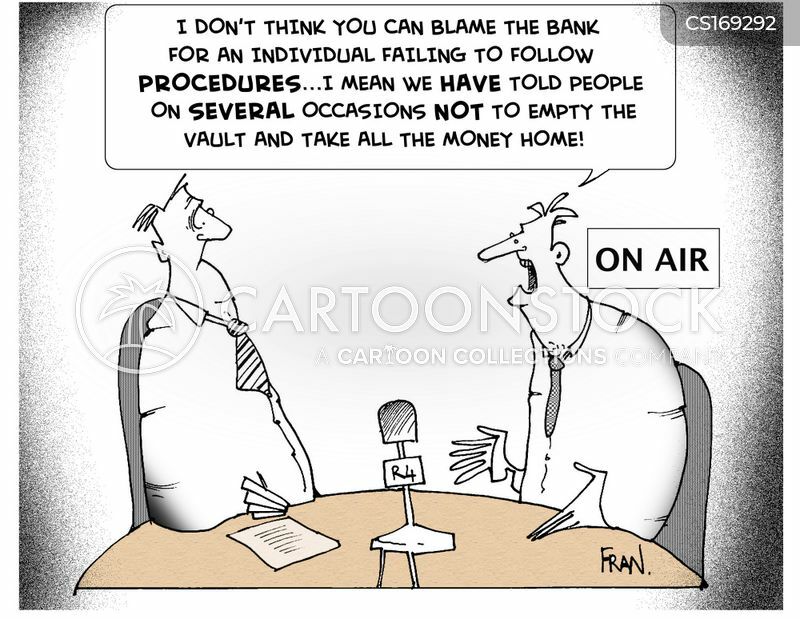 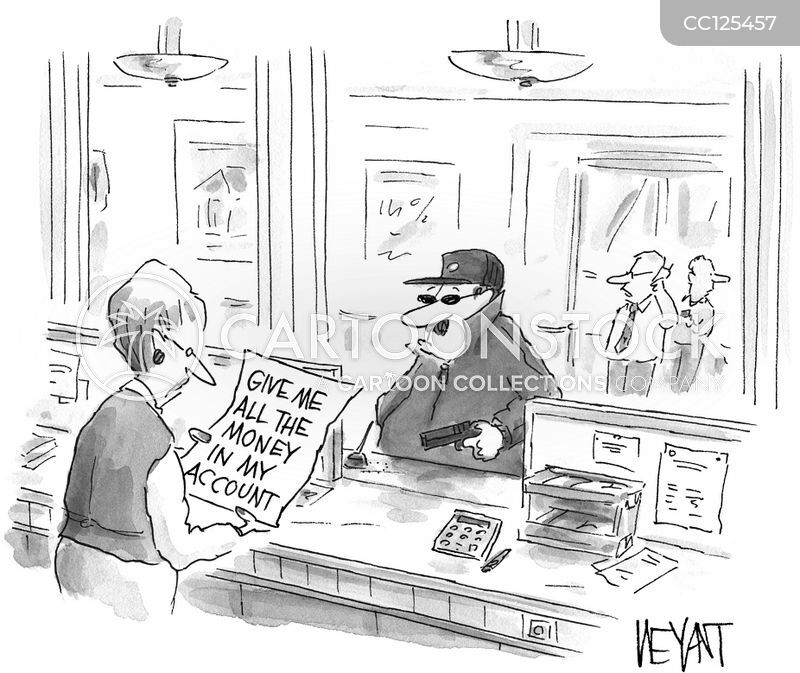 "I don't think you can blame the Bank for an individual failing to follow procedures...I mean we have told people on several occassions not to empty the vault and take all the money home." 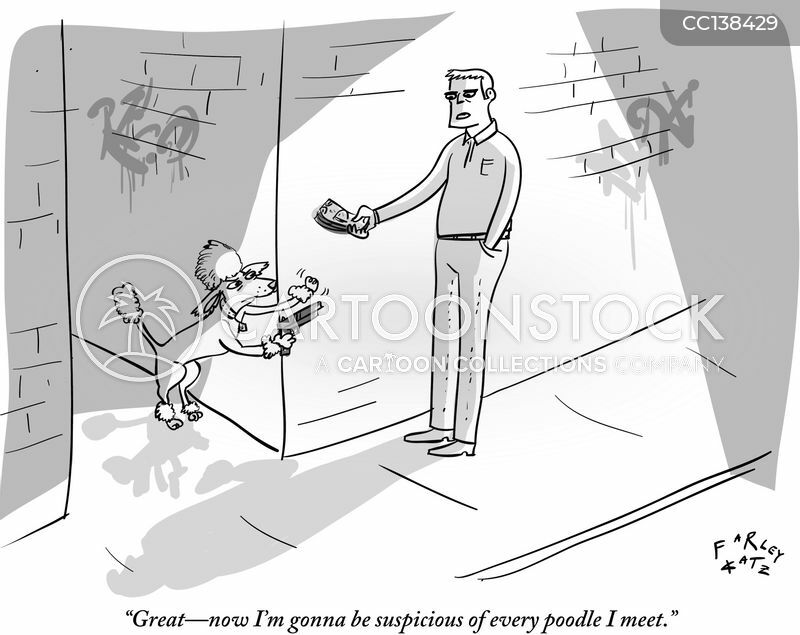 "Great-now I'm gonna be suspicious of every poodle I meet."